Shipping freight that is not valuable by some standards is still considered precious cargo to both the shipper and receiver. Assuming you want your shipment to stay in one piece on it’s way from A to B, we’ve compiled a list of pro tips to help you make the best decision even before that pallet leaves your dock. Whether it is a case of ipads, pop sockets or electric guitars, every product requires a different packing method and material to prevent any snaps, cracks, or pops. Consider acceptable packing materials that will not react negatively with your product. For example, using newspaper to wrap your items can often leave an ink transfer and damage your item. Many shippers go-to is packing peanuts, which can actually shrink if placed in high humidity levels, diminishing their ability to absorb shock. You probably don't want your pallet to look like it went through a salad spinner. Unless of course you are shipping salad spinners. 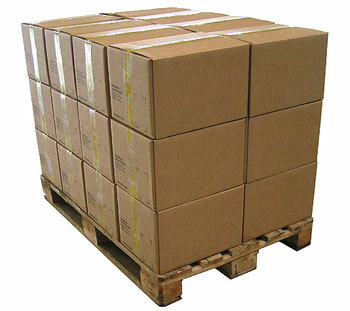 Does your company have a freight shipping or packaging plan to ensure each product is shipped properly? Look for some "know before you go" tips, such as the one you can find on the High Road infographic. Do you need to keep moisture and humidity out and products in? Anticipate that your items will run the temperature gamut in transit. Be pro-active in lining the container with insulated paper, bubble wrap, or another appropriate protective layer. Does your product require consistency in temperature? Companies such as Packaging Technology Group has done extensive research on how to ship temperature sensitive freight and encourage their clients to "Think Inside the Box". Consider the type of packing material you are using as well. Perhaps your company is sensitive to reducing your environmental footprint. There are many environmentally friendly options that are or can be reused and recycled. Cost and volume should also be considered when choosing your internal packaging. In other words, don't cut corners with cheap or previously used packing. 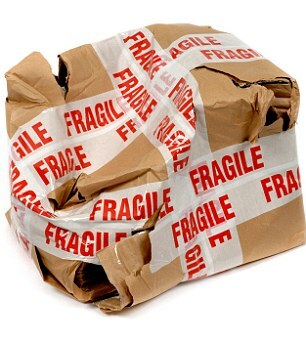 Boxes or shipping material that have already been used or show any sign of damage will have decreased integrity. Even if a shipping container has undergone repairs, ultimately the material is now weakened and could collapse if it is put on a forklift or is under any sort of typical shipping stress. Previously used shipping containers often also have past shipping labels stuck to them, and you don’t want your beloved pallet routed to Boston when it was intended for Boise. Do they have a warehouse for last minute storage needs? What is the carrier's ability to pivot and change destination, delivery date or other critical details? Don't be afraid to ask for references - finding a carrier on Google is not the same as speaking to an existing client of your potential partner. Ensure they have the experience needed to ship your precious cargo. By avoiding common packaging assumptions and thinking inside and outside the box (pun intended), you will keep your goods in good shape.